State Register Nominations - Front Range Research Associates, Inc.
Front Range prepares nominations for listing resources in Colorado's State Register of Historic Properties, the list of the state’s most significant historic resources. The 1909 Broomfield Denver & Interurban/Colorado & Southern Railway Depot is significant as an example of a combination depot with living quarters for the station agent. The depot served the needs of both the Colorado & Southern, a steam passenger and freight railroad, and its subsidiary, the Denver & Interurban Railroad, an electric intercity line. Professor H. Roger Grant, a national authority on depots, noted the Broomfield Depot’s rarity, stating “I can’t think of another surviving depot that served both steam and electric roads,” but acknowledged that one or more might exist in southern New England. The building meets the requirements for listing under the Multiple Property Documentation Form (MPDF) Railroads in Colorado, 1858-1948, under the associated Property Type: Depot. The Broomfield Depot is also significant for its service as a local history museum from 1983 to the present. The Broomfield Historical Society organized in 1976 to celebrate Broomfield history and operate a museum in the relocated depot. The creation of the group and interest in local history coincided with the rise of the historic preservation movement following passage of the National Historic Preservation Act of 1966 and the celebration of the American Revolution bicentennial and the Colorado statehood centennial ten years later. The depot was moved to this location in 1976 to prevent its demolition. The Broomfield Depot Friends funded the nomination. Greeley Ice and Storage Company, Greeley, Colorado, State Register of Historic Properties Nomination (2015). Front Range prepared a State Register of Historic Properties nomination for this 1930/1939 era ice manufacturing and storage building adjacent to the Union Pacific Railroad tracks in Greeley, Colorado. The property is significant under Criterion A in the area of Industry as an early-twentieth century ice manufacturing and storage facility for providing the city of Greeley and surrounding areas with manufactured ice and cold storage for meat, poultry, and beverages, as well as storage for furniture, furs, and other items. The company also supported area agricultural interests by supplying ice for railroad and truck transport of meat and produce. The building is also significant under Criterion C in the area of Architecture as a good example of a 1930s ice manufacturing and cold storage facility, as reflected in its immense size, external framework of piers and floorplates dividing brick curtain walls, few window openings, loading docks, flat roof with parapet, concrete internal columns, and limited ornamentation. The utilization of brick walls within an exposed concrete structural grid is a design frequently seen in industrial buildings of the era. The project was undertaken for Ice House Developers, LLC of Kansas City, Missouri. Knearl Opera House/Desky Hotel State Register Nomination, Brush, Colorado (2014). Front Range produced a State Register of Historic Properties nomination form for this two-story commercial building in downtown Brush, Colorado. Built by William H. "Billy" Knearl as an opera house in 1902, the building housed the post office and a mercantile before conversion to a hotel in the 1920s by local Jewish merchant Nathan Desky. The vertical metal sign dates to 1928 and is a rare extant example of a Federal Electric Company sectional lamp letter sign, consisting of 16"-high porcelain-enameled steel panels. The nomination did not proceed due to an objection from one of the owners. The ca. 1950 Haswell Missouri Pacific Railroad depot, a combination passenger and freight facility, is believed to be the only extant MoPac depot in Colorado. The building (moved from its original trackside location ca. 1973-74) is significant for its architecture, which reflects materials, design, and construction techniques of depots of the era, including: the one-story, horizontal profile; use of asbestos cement shingles; track side bay window for observing train movements; and separate interior spaces for the railroad office, passenger waiting, and freight storage. The building meets the requirements for listing under the Multiple Property Documentation Form “Railroads in Colorado, 1858-1948,” under the Associated Property Type: Depot. It served the small eastern plains community until the early 1970s. The Jackson Barn is significant architecturally as a well-preserved example of an early twentieth century, three-bay, balloon frame horse barn. The vernacular building does not display a formal architectural style, and instead is unpretentious and displays common regional forms and materials of construction. Although such barns were commonly found in Kiowa County during the early twentieth century, they are much rarer today. Moved from its original setting nearby in 1937, the barn played a role in the Jackson Dairy operations that provided milk for Eads families. 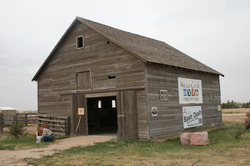 Eads residents preserved the barn, which is utilized for interpretive, educational, conservation, and social purposes today. Front Range undertook the project for the Kiowa County Historic Preservation Commission under funding from a Certified Local Government grant. 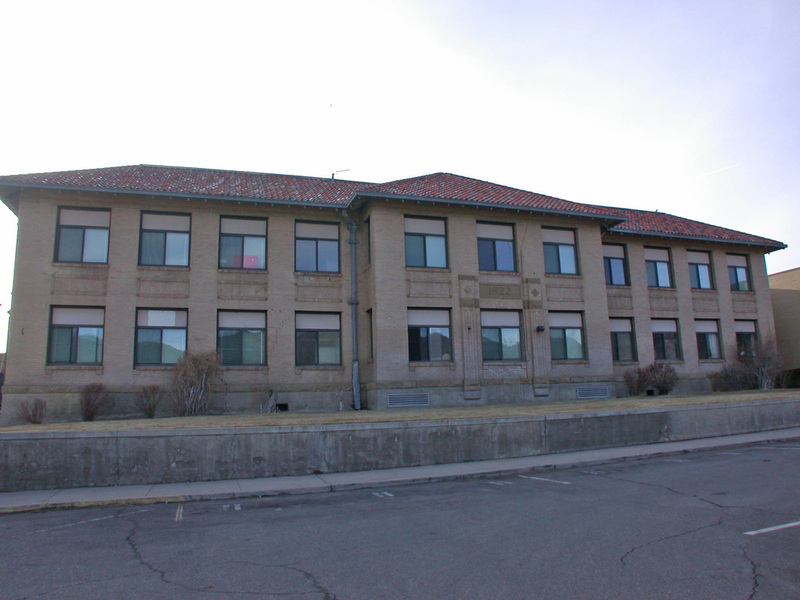 Designed by Colorado Springs architect Charles E. Thomas, the 1929 Sheridan Lake School operated from that year until 1962 and is important as the only extant historic school building in this small town on Colorado’s eastern plains. The building represents the importance of education in the lives of rural families, who at great personal cost erected this professionally designed and finely crafted Renaissance Revival style school on the eve of the Great Depression to provide a modern facility ensuring local children received a quality education comparable to any in the county. The school also served as a center of social, cultural, recreational, and civic activities for the community and continues that role today as the Kiowa Albright Memorial Center. Front Range undertook the project for the Kiowa County Historic Preservation Commission under funding from a Certified Local Government grant. Erected in 1907, this sandstone Romanesque Revival Catholic church operated until 1998. Father Felix S. Ziccardi, the "fiery bandmaster of Trinidad," served as parish priest from 1923 to 1949. The building was designed by brothers Isaac H. and William M. Rapp of Trinidad, who drew plans for many significant buildings in southern Colorado and New Mexico. An individual nomination was prepared for this unusual two-story log cabin, which displays vertical logs on the first story and horizontal logs on the second story. Undertaken for the Town of Frisco. A 1922 junior high school building designed by architects Cooper and Desjardins and associated with the expansion of educational facilities in Salida. 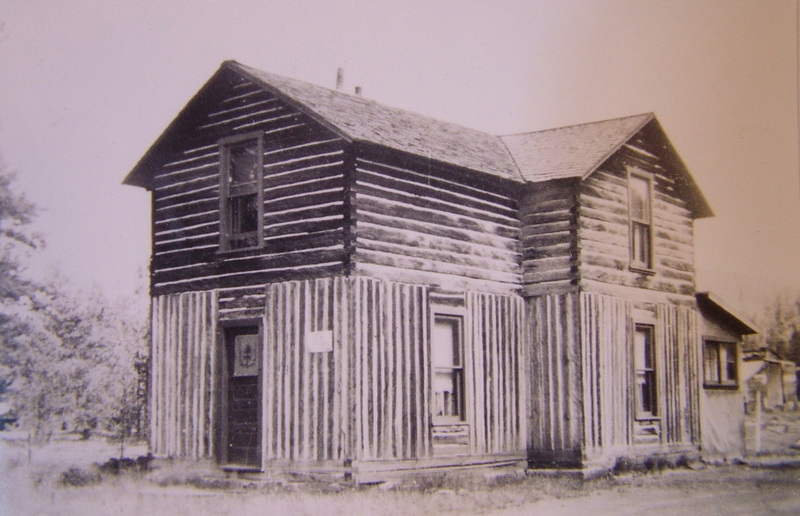 The residence of the Colorado Fuel & Iron Company’s Crested Butte superintendent, located outside the National Register historic district boundary. The Main Hospital building at a historic army installation. 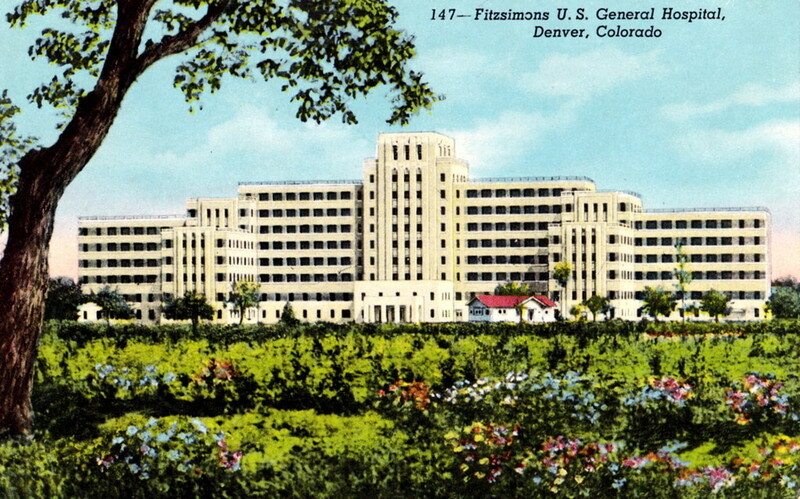 The ten-story building was the largest in Colorado when completed in December 1941. 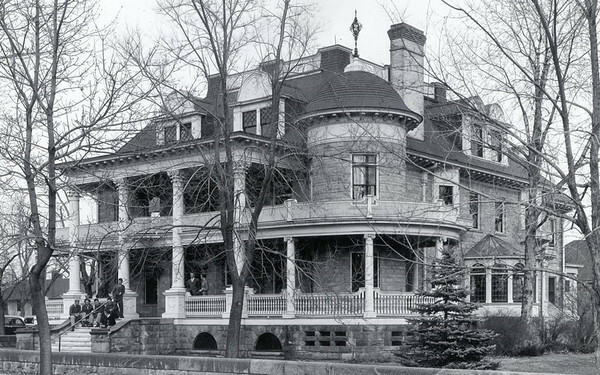 A residence designed by Colorado Springs architect Augustus J. Smith and now owned by Colorado College. 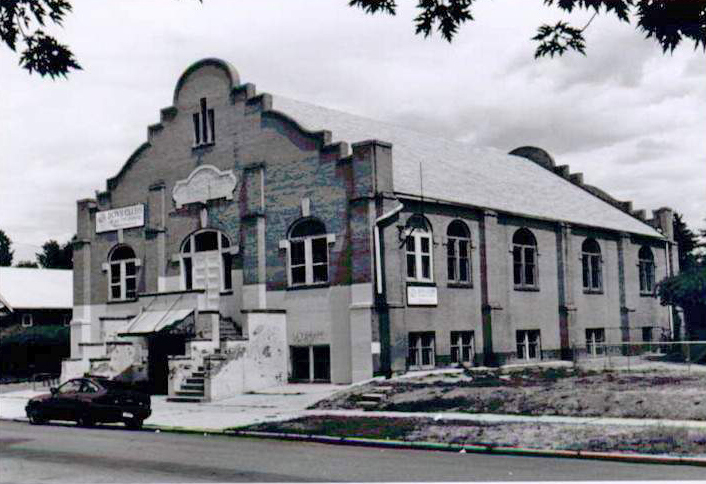 A 1914 Mission Revival style gymnasium named for progressive Colorado Supreme Court Justice Robert W. Steele.